A CAR wash could be turned in to twenty new homes if a developer's planning bid is successful. An application has been submitted to Greenwich Council to redevelop the site of the ARC car wash in Blackwall Lane. The new five-storey development would have twenty duplex apartments and commercial space at the ground level. Parking for 15 cars is also included in the planning application. Previous applications for similar proposals were submitted in the past, with the council refusing the most recent because of air quality concerns although permission was given after an independent appeal for 14 apartments. 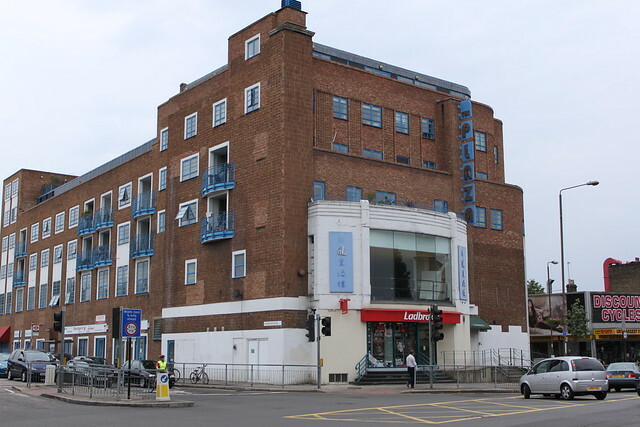 The developer behind the plan is Greenwich-based Mulberry Building Developers who were also responsible for the Blue Building, the Vista Building, Pleasaunce View, Pleasaunce Mansions and new houses in Banning Street. A NEW bar and nightclub could open in the basement of the Plaza building in Trafalgar Road by next month. Woolwich-based Thomas Rahmani has signed a seven year lease on the premises in what was originally Greenwich's Granada theatre. Refurbishment is already under way and the TR Bar & Club is expected to open in mid December. Mr Rahmani told Greenwich.co.uk that he plans to "host club nights during the week and weekends." He also plans jazz and soul nights, open mic nights as well as discos that would "attract local residents in the area for a good night." The building opened in 1937 as a cinema, built for "Mr and Mrs Greenwich." Since then, it has been a bingo hall and the Stars nightclub before being redeveloped to include residential and commercial units. A POPULAR local fashion boutique will close its doors for the last time at the end of the year. Belle in College Approach will close after deciding not to renew its lease after almost nine years. Shop owner Karin Tearle told Greewnich.co.uk she was "extremely grateful" to her "loyal followers." She thanked the "customers and businesses who have supported the business over the years." Before closing, Karin is planning various sale events throughout December - keep up to date on them on the Belle Facebook or Twitter pages. 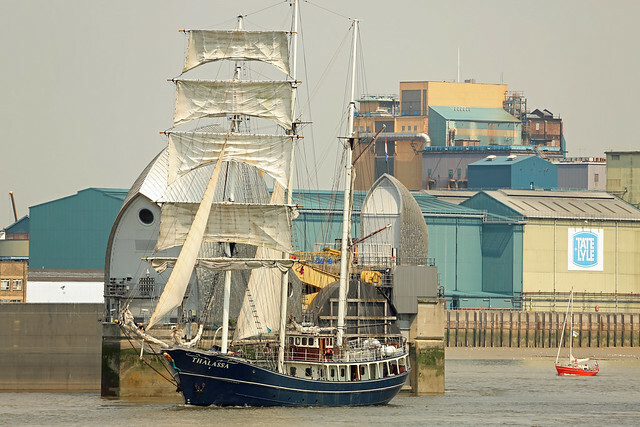 THE ROYAL Borough of Greenwich has submitted a bid to host the annual Tall Ships Race. If successful, Woolwich would be a host port in the 2016 race, which is organised by Sail Training International. The bid to host the race comes as the council tries to build a legacy from interest in this summer's Sail Royal Greenwich event. A report presented to councillors on the Overview and Scrutiny Committee last week says that "12,000 individuals and 1,500 corporate customers took the opportunity" to see London from Sail Royal Greenwich's 14-ship fleet that sailed daily from Woolwich during this summer's Olympics. A five-person bid delegation including Councillor Chris Roberts, Councillor Peter Kotz, who has cabinet responsibility for Culture, the Chief Executive of Greenwich Council and two council officers travelled to Riga in Latvia two weeks ago for the Sail Training International and Tall Ships Conference. "Developing the Royal Borough as the home for Tall Ships in London would provide an excellent boost to this sector of the economy. The conference is the only event of its kind, and presented a unique opportunity to promote the borough and its attractions to a global audience of Tall Ships Operators and to meet with other ports. "It provided an opportunity to study and learn from other host ports the requirements of hosting regattas and races on a large scale. As a result of attendance at the conference, contact was made with Tall Ship Operators and the potential for further visits was discussed." Greenwich Council also says it is developing a proposal for a Tall Ship regatta at Woolwich in 2014. The first Tall Ships Race took place in 1956 with twenty tall ships sailing from Torquay to Lisbon. 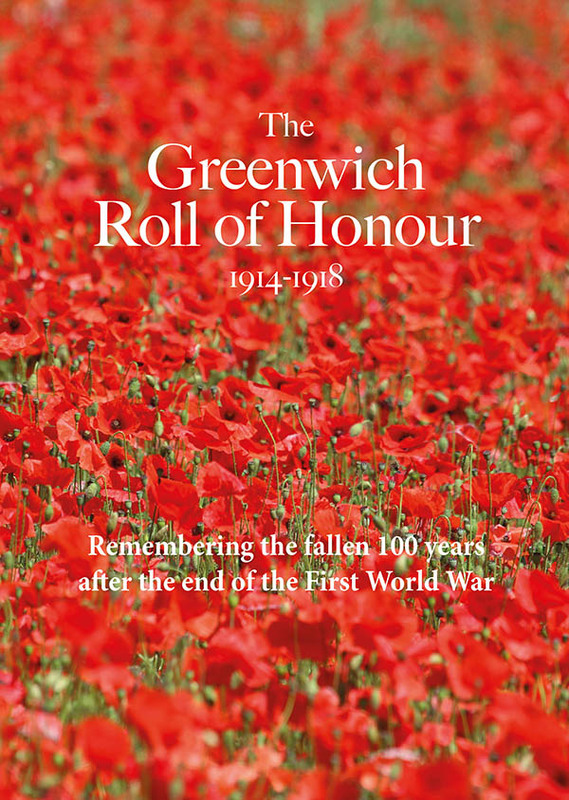 A GRENADE from World War II, a missing child and a slump in Greenwich town centre business were just some of the issues that the council had to respond to London 2012, according to information just revealed. The incidents were all recorded in a Daily Log that was made available to councillors last night as Chief Executive Mary Ney gave an update on the Games to the Overview and Scrutiny Committee. The WWII grenade was found near Woolwich Pier on August 6th. Two more devices were found on the 7th and 8th of August at Murphy's Wharf near Greenwich Yacht Club but disposed of without further incident. The well publicised issue of spectators being prevented from accessing some parts of the town centre led to light barriers being removed and the council allocating "entertainers and animation to direct visitors to Greenwich Market." An operational Command and Communication structure had been put in place before the Olympics with Gold, Silver and Bronze teams. The only issue to be escalated to Gold command - Mary Ney and director of regeneration, John Comber - during the Olympics was a child reported missing in Greenwich town centre on August 8th. The child was found later that day with its grandmother. Following the presentation, committee chairman Mick Hayes thanked the Chief Executive and council officers for their "excellent work" during Games Time. MERIDIAN radio station at Queen Elizabeth Hospital has launched a toy appeal. “Any toys or games that the hospital cannot use will not be wasted - local charities & groups will be invited to make full use of your donations, so you’ll be supporting your community too,” said Meridian presenter Steve Hadley, who came up with the idea. Local MP Nick Raynsford recently became a patron Meridian, which this year started broadcasting online, and backs the appeal. “I know the children ward very well - a very valuable and respected service by local people,” he said. “Play specialists do an excellent job for the children, but can do with more toys and books. "I would also like to pay tribute to the excellent work for our community that Meridian Radio has now carried out for more than 50 years," he said. Donations can be taken in to the Safari ward at Queen Elizabeth Hospital. HUNDREDS of thousands of pounds from the Heritage Lottery Fund will help restore part of the Old Royal Naval College's Painted Hall in Greenwich. A grant of £335,000 has been contributed to to the conservation project on the west wall of the Grade-I listed hall, designed by Sir James Thornhill. The work, which comes sixty years after the last major restoration project in the Painted Hall, is expected to last for four months when work begins in earnest in January. The hall is expected to remain open throughout although it will close for two weeks from November 19th while scaffolding is erected inside. Special guided tours with access on the scaffolding to see the wall up close will be offered during the project, say the ORNC. Greenwich Foundation CEO Brendan McCarthy commented: “The support of the Heritage Lottery Fund, together with that of all those who have given to our continuing appeal, is enabling us to carry out long overdue work on this very important interior. The grant also means that we can run a programme of events and activities during the conservation work to enable visitors and our local community alike to enjoy what is going to be a fascinating project – including getting up close and high on our specially designed scaffolding. That’s a once in a lifetime opportunity!" WORLD number one, Novak Djokovic, won the Barclays ATP World Tour Finals this evening in front of a capacity crowd at the O2. The Serb beat the defending champion Roger Federer in a thrilling two set match, taking the win 7-6 7-5 in two hours and 14 minutes. The season ending win was played out in front of almost 18,000 fans at the North Greenwich venue, with Djokovic collecting a prize purse worth a cool $1,760,000. Federer was looking to make it three tournament wins in a row, having conquered the O2 in 2010 and 2011, but the Swiss maestro looked the more tired of the two men and couldn't overcome Djokovic. The Barclays ATP World Tour Finals will stay in Greenwich for at least another three years, it has been announced. The end of season tournament which pits the top eight male singles and doubles against each other will continue to be staged at the O2 arena until at least 2015. The tournament has been hosted in 14 cities since it was established in 1970, with New York hosting the most number of times between 1977 and 1989. It was first staged at the O2 in 2009, with Nicolas Davydenko taking the title that year. Brad Drewett, ATP Executive Chairman and President, said: "We are very happy to announce the extension of our original commitment in London for a further two years... The excitement created by our season-ending tournament in London has been fantastic, with fans, players, media and commercial partners all supporting the event in an unprecedented manner." A TWO day festival in Greenwich this month will give local students the opportunity to sell their ground-breaking designs. The Penrose Festival, previously known as the Penrose Market, returns to Ravensbourne College by the O2 on the 20th and 21st of November. Students from the college will put their wares, including many one off designs and innovative craft items, on sale to the general public. 400 students will take part in the festival which also includes a business trade fair and digital courses. 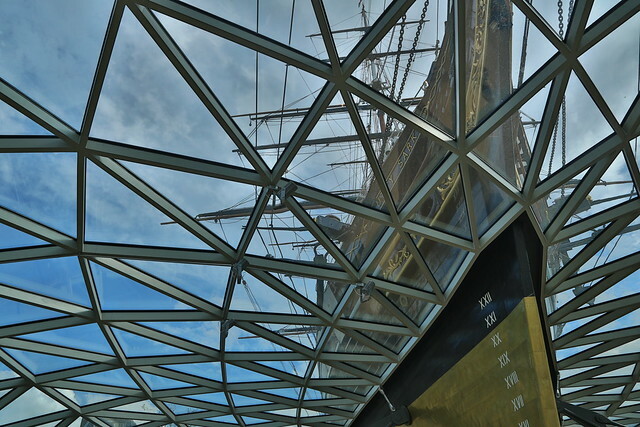 THE NEWLY restored Cutty Sark has been name as 2012's best new tourism project by travel writers. The famous tea clipper was chosen above Glasgow’s Riverside Transport Museum and Edinburgh’s redeveloped National Museum of Scotland by the British Guild of Travel Writers. “I am absolutely delighted Cutty Sark has been recognised by the British Guild of Travel Writers. The conservation of this national treasure has been one of the biggest and most complex maritime heritage projects ever undertaken and thanks are due to the hard work and dedication of everyone involved in the project. "Already over 225,000 people have visited the ship during its first six months of trading." The boost for the Cutty Sark comes months after she was given the Carbuncle Cup by Building Design and slammed by the Victorian Society as a "damaging restoration."